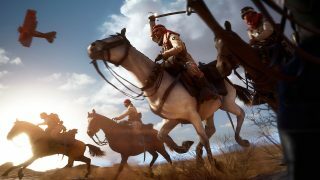 War on an epic scale requires some pretty epic Classes, and the ones in Battlefield™ 1 are a bit different from what you've seen in the past. We asked popular YouTuber (and Battlefield GameChanger) Westie to send over questions to ask Julian Schimek, Weapon Designer on Battlefield 1. Westie: What are the roles of each Class in Battlefield 1? Julian Schimek: Every Class can hold their own in battle, but they each have their own specialty. Assaults are experts at blowing up vehicles, Support can resupply teammates, Medics can heal teammates (and vehicles), and Scouts focus on reconnaissance. Westie: What’s the biggest change in the classes from previous Battlefield games? Julian Schimek: Every Class is now more efficient in combating enemy infantry. They still have different things that make them unique, but we wanted to make players feel like they were able to go toe-to-toe with anyone else they see running around on foot. Westie: What makes the Classes visually different? 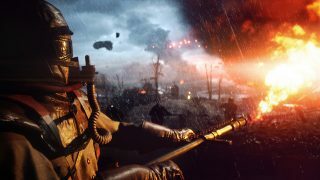 Julian Schimek: We worked hard to give each class their own distinct style in Battlefield 1, while making sure to stay true to the setting and the era. They all have their own little visual quirks that set them apart. Actually, if you look closely in the reveal trailer you can see some hints of this - the Medics, for instance, have crutches on their back! 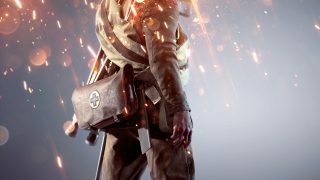 Westie: What abilities does the Medic have in Battlefield 1? Julian Schimek: Field medics were really important in that era, and it made sense to give them their own class. From a gameplay perspective, we wanted to upgrade their abilities. We think players are going to really enjoy the new versions of the classes. Westie: Where did the Engineer class from previous Battlefield games go? Julian Schimek: Yep – good eye – classic Engineers are no more in Battlefield 1. But worry not, their abilities live on! Besides being able to heal and revive players, the Medic can also repair vehicles, and the Assault class is more focused on taking down vehicles. Assault has both Gadgets and Anti-Tank weapons, making them the go-to for blowing up enemy armour. Westie: Will the Scout class be purely focused on reconnaissance, or will it on play a direct role in the battle? Julian Schimek: It's actually a mix of both. Scouts are experts at reconnaissance, and their ability to take down enemies from afar with sniper rifles actually ties well into those abilities. What better time to survey the field and give vital information to teammates than when you're in the distance sniping enemies? Which Battlefield 1 Class is Right For You? Like blowing up vehicles and close-quarters combat? Play as... the Assault class! When you hear the rumble of a tank, you've got two options: you can run, or turn and fight. If you're deploying as an Assault in Battlefield 1, you're likely the kind of player that chooses the second path. Assaults come equipped with explosive Gadgets to combat vehicles, making them the go-to Class for taking down stuff that rolls, flies, sails, or does anything besides walk on two legs. These are your classic close-quarters specialists - if you're facing one, you're going to want to engage them from a distance, because once they close the gap you’ll lose your advantage. Want nearly endless ammo for you and your squad? Play as... the Support class! When you absolutely, positively want to keep your enemy from moving, the Support class provides sustained fire to take out enemies or suppress. Their weaponry is fit for close and medium range and typically has a high rate of fire, letting you lay down a steady stream of bullets towards anyone you'd rather keep in one place. And when it comes to bullets themselves, they've a trick up their sleeve: their Gadgets can keep teammates resupplied or help protect positions. Enjoy keeping your teammates alive? Play as... the Medic class! Medic: If you've played a Battlefield game, the cry of “Medic!” is pretty familiar. There's very little more important when fighting than being able to protect the guy besides you, and that's where the Medic class shines brightest. But in Battlefield 1, Medics aren't just trained in the art of keeping their teammates healthy - they can repair vehicles, too. They can still hold their own in the combat department, with medium-range weapons that can put down an enemy so fast that healing an ally might not even be necessary. Like taking down enemies from far, far away? Play as... the Scout class! Scout/Recon: Scouts names do a pretty good job of describing what they do. These are your long-range specialist, able to take out enemies from afar with powerful sniper rifles. If you're the kind of player that likes finding a nice, safe hill to hide on and engage enemies from a few hundred meters away, the Scout is definitely for you. But they are instrumental for team play as well - the Scout class can use its range and Gadgets to provide reconnaissance to their team, too, surveying the area and calling out locations for their teammates. Want to jump into a vehicle and wreak havoc? Play as... the Pilot or Tanker! Deploy into the driver seat of a plane or tank in Battlefield 1 and you'll eschew your typical class in favor of the two new Vehicle classes. These replace your typical classes, letting you trade in your Medic or Support kit in favor of playing as a Tanker or Pilot. When you're deploying into a tank or a plane, those vehicles are your primary weapon, and you'll be fully absorbed into that role, rather than being an Assault who happens to by flying a biplane. Wrapped in fire-resistant gear, a gas mask, and carrying a powerful flamethrower, the Flame Trooper brings with him chaos. Stay far away if you can, but if you find yourself eye-to-eye with the Flame Trooper, you'd best muster your courage, fix your bayonet, and charge into battle before he notices you. One wrong move and you're likely to spend your last moments seeing red. The Sentry moves like a human tank. With a water-cooled automatic machine gun at his hip and strapped in plated armour, the Sentry can shower enemy positions with lead while still being able to withstand a lot of damage. His main weakness is his greatest strength – in order to keep up his defense, he eschews the use of a gas mask in favor of additional armour plating. The Tank Hunter has mastered the use of the 1918 Tankgewehr, an absolute beast of a weapon. Standing almost as tall as a man, the Tankgewehr is capable of damaging enemy vehicles over great distances. With a well-placed shot, the Tank Hunter can focus fire on particular parts of the enemy vehicles, taking out the tracks, machine guns, or cannons on armoured vehicles.